Oil is the world's single most important commodity and its political effects are pervasive. Jeff Colgan extends the idea of the resource curse into the realm of international relations, exploring how countries form their foreign policy preferences and intentions. Why are some but not all oil-exporting 'petrostates' aggressive? To answer this question, a theory of aggressive foreign policy preferences is developed and then tested, using both quantitative and qualitative methods. Petro-Aggression shows that oil creates incentives that increase a petrostate's aggression, but also incentives for the opposite. The net effect depends critically on its domestic politics, especially the preferences of its leader. Revolutionary leaders are especially significant. 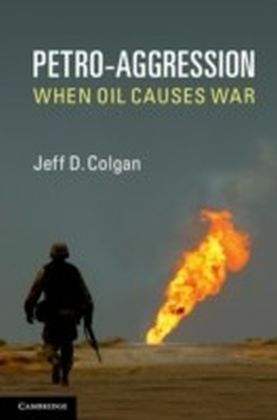 Using case studies including Iraq, Iran, Libya, Saudi Arabia and Venezuela, this book offers new insight into why oil politics has a central role in global peace and conflict.